Bwakira (L) and Kasi exchange paperwork after the signing of the agreements. Courtesy. KAMPALA–Centenary Bank and Mastercard have announced a multi-pronged approach to digitising Uganda’s economy in support of the National Financial Inclusion Strategy. Following the recent signing of a strategic partnership agreement focused on boosting financial inclusion in the East African market the two partners on Wednesday further strengthened their partnership by signing a Commercial Banking Agreement (CBA), which will see the rollout of a broad suite of digital payment solutions. The agreements, signed at the Annual Bankers’ Conference in Kampala, will further assist in delivering on Uganda’s National Vision 2040, which aims to transform the country into a prosperous African economic powerhouse, where businesses can grow and people are able to prosper. “As the largest commercial microfinance bank in the country, with over 1.4 million customers, we are committed to delivering solutions that meet the diverse needs of people, especially those living in rural areas,” said Fabian Kasi, executive director of Centenary Bank. “Part of this commitment is working alongside partners that share our vision, and MasterCard will work with us to diversify our services and solutions,” Kasi added. The partnership will help strengthen the National Payment Ecosystem through the introduction of relevant payment solutions including Masterpass QR, payment card solutions including debit, prepaid, and credit as well as premium solutions. In June, Finance minister Matia Kasaija delivered the 2017/18 National Budget, which re-emphasised the importance of the National Financial Inclusion Strategy. Kasi said the Centenary-Mastercard groundbreaking strategy seeks to address five major drivers of financial inclusion: accessibility of financial services, credit infrastructure, and digitisation of financial services, appropriate and innovative financial products and consumer financial protection. It is clear to see why the National Financial Inclusion Strategy is needed, according to the 2016 Financial Inclusion Insights Survey, only 11 out of every 100 adults in Uganda have access to a bank account. However, 53 percent of adults are using mobile payment solutions to transact. The introduction of the mobile-driven person-to-merchant (P2M) solution by Mastercard called, Masterpass QR, will help turn citizen’s mobile phones into a payment and acceptance tool. “We will also be working with the Mastercard Advisors team to develop a strong framework for current and future interventions, with the help of market and global insights,” Kasi said. 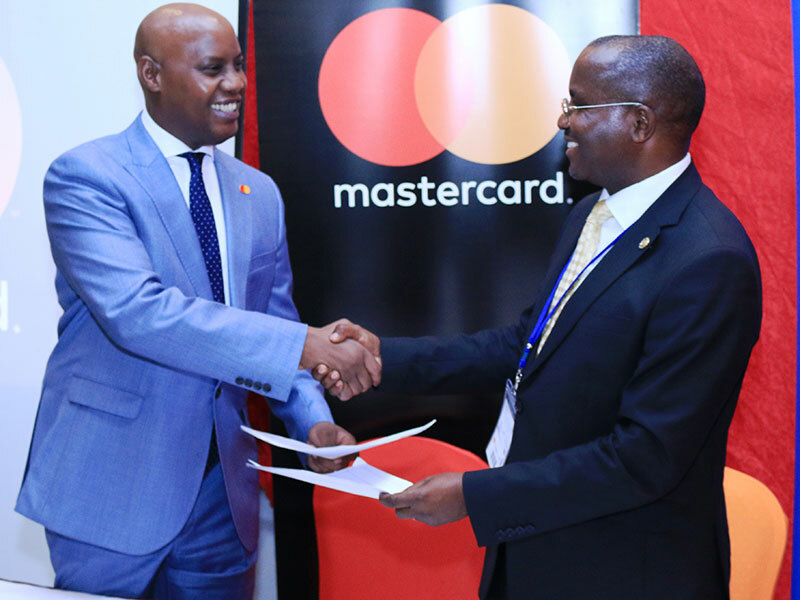 Chris Bwakira, Mastercard vice-president and area business head for East Africa, said the partnership is part of the Mastercard commitment to financially empower 100 million people in Africa by 2020. “We have made significant strides this year in Uganda, with our recent agreement with the Uganda Bankers’ Association and the work we are doing through the Mastercard Labs for Financial Inclusion,” Bwakira said.